1.- Downloading Family Guy from ChileWarez.org 2.- "Vacantes de empleo" means he's probably looking for a job 3.- He owns a PSP console 4.- Windows Vista 5.- Window color + Internet Explorer + Toolbars combo... EPIC FAIL! Oh i see the Fail! He's using Vista! 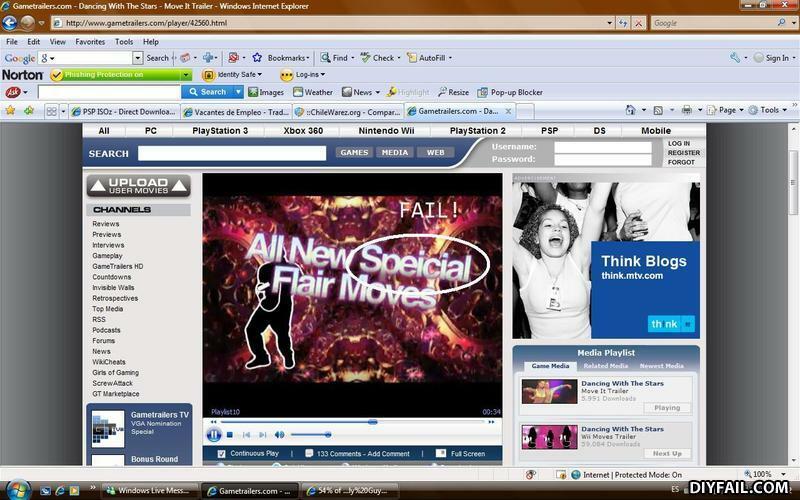 the biggest fail in this pic is the fact it's internet explorer. Whose that computer? Vista, Norton, I explorer...You failed!